Our son Mikko has been attending a language-immersion preschool two days a week for the past two years. A couple weeks ago, at just over four years old, we pulled him out so we could practice unschooling. My partner, Sam, and I have a goal of not sending our children to traditional schooling as they get older and also, instead of using a specific homeschooling curriculum, letting them lead their own education through what is commonly known as “unschooling.”1 Since Mikko would traditionally start kindergarten at a public school next year, we thought we’d give ourselves this one last year to see how well we manage unschooling our family, so we know whether it will work for us as we hope. Now, many people might say that preschool is unnecessary and little children can just learn as they go — and I do in fact believe that’s true! However, Sam and I have a tendency to be, um, what’s the word? Lazy, that’s it. So it’s good for us to have some goals in mind to scatter opportunities for learning in our children’s path. You can’t follow your child’s interests if you don’t offer anything interesting, right? Magnet Letters: These work great on the fridge, as we all know, but also try arranging them on a metal cookie sheet for laptime learning. Try forming different words, having your child search for a particular letter, or arranging letters in alphabetical order. Using physical objects can spark new connections in little minds. 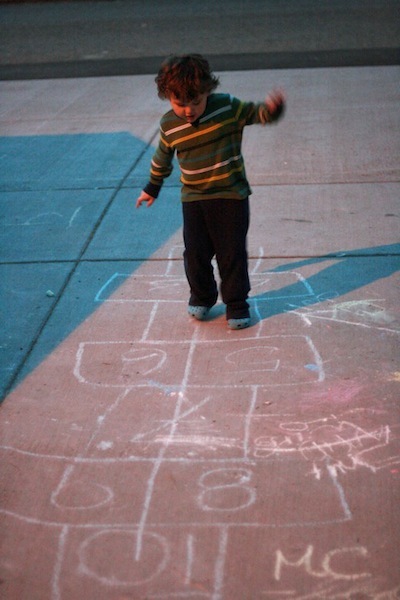 Think Off-Paper: Try writing letters in chalk on the sidewalk, or arranging your body into a letter’s shape. 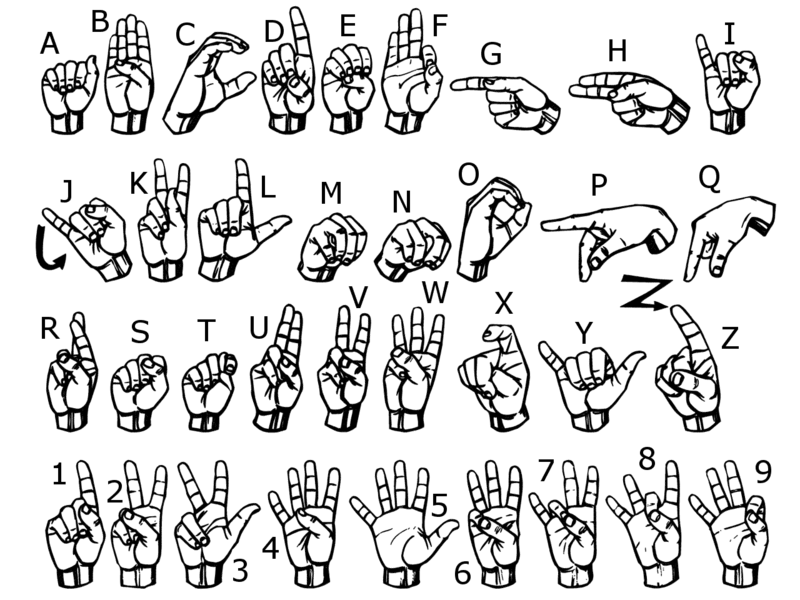 Learn the sign language alphabet and finger spell favorite words! 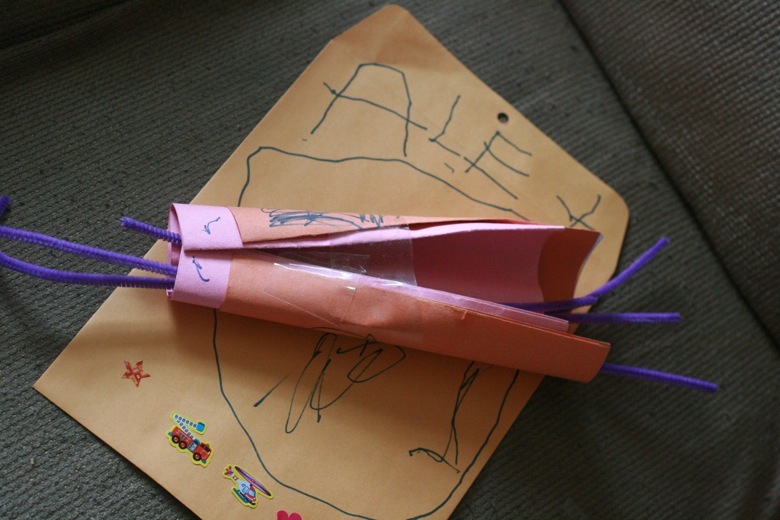 Mikko made this 'bouquet' for a cousin and wrote the name on the envelope with just a little help with the spelling. Signature Moves: I’ve yet to meet a child who’s not fascinated with her own name! Encourage learning the letters and recognizing when you see the name spelled out. 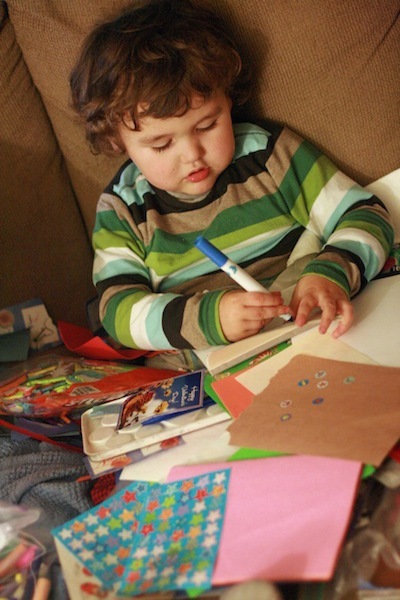 Ask family members to mail postal letters, and send crafts back, signed by the child. This is another fun and easy subject for preschoolers, because they tend to get artsy and craftsy without any prodding. Have supplies handy, and set them loose! Acacia is writing a wonderful series on creating artwork with little ones; plus, you can check our Arts & Crafts archives for more fabulous ideas of varying levels of messiness. We love to keep basics on hand, and we spice things up with supplies or kits Mikko is drawn to at the store, or fun activities he enjoyed at preschool, like making flubber. But the point is to have fun. Learn a few songs in your target language, and make a pact (with yourself!) to sing one every day. It’s even better if the song has a participatory component, like an action song (“Head, Shoulders, Knees, & Toes”) or a song where you can ask your child to choose what color or number you’ll sing about next. Mikko’s preschool featured a different country every month, and the vocabulary, music, and art all revolved around that culture. You could do your own version. Either you or your child can pick a geographical location you want to learn more about, then make a meal that fits the locale, learn a few phrases in a new language, or look up pictures of traditional dress. If you have relatives living elsewhere, that could be a great opportunity to talk about what makes their place different, where it is on the map, what the weather’s like there, or what time zone it’s in. I'm cheating, because Mikko made this at preschool. 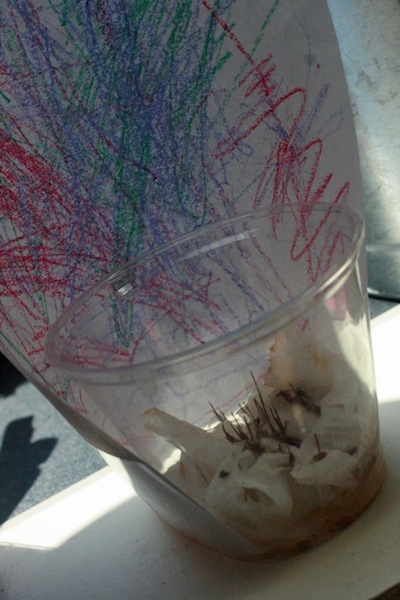 But it's easily adaptable for home: Just pop some grass seeds into damp shreds of paper towel and watch them sprout! The best way for preschoolers to grasp science is through the scientific method: experimentation! Have fun talking about and doing: Learn about bubbles as you blow them, experiment with friction by setting different objects down a slide, or plant seeds together and learn about roots and photosynthesis as you watch them grow. One of my favorite sites for kid-friendly science experiments like these is Science@Home. You don’t need to make it complicated. Count things! Name colors! Draw shapes! Do simple games, like sorting toys by color, then counting how many piles you have. Go on a search for all the squares you can find in a room. As your child’s attention and appetite grow, start talking about math concepts like addition and subtraction, consider offering an allowance or giving your child some control over money, memorize the order of colors in a rainbow, or branch out into three-dimensional shapes like cubes and cones by making them out of paper. Activity bags are perfect for talking math, colors, and shapes, and they’re easy and addictive to make! Worried your kid’s not being socialized outside of school? First of all, remember that you are a person, too, so your child is already socializing with you! But then, go on out and make some friends. Meet some families, through a local attachment parenting chapter, a religious group, activities your child attends, or online friends who want to meet up. Physical coordination AND counting AND drawing, all in one! With most kids, just try to keep them from fulfilling this credit! Giving your kids time each day for gross motor activities will get the antsies out and encourage lifelong healthy habits. If it’s nice out, or you have the appropriate outdoor gear to compensate, get out and run, kick a ball, chase each other, ride a balance bike, or go wild on the playground! If the weather is not cooperating, try some indoor moves instead. Children this age might enjoy a weekly structured activity, such as swimming lessons or a T-ball team. Mikko’s preschool emphasized this quite a bit, having firefighters visit and teaching emergency numbers. You, too, can visit a fire station to see firefighters in masks and without — just call ahead to arrange a time. Go over your local emergency number, practice stop-drop-and-roll, and start teaching your children their address and phone number as they become old enough to understand. OK, this is an odd one for me — since I don’t intend for Mikko to go on to school anytime soon, following directions in a classroom isn’t imperative. However, the preschool teachers frequently pointed out that a lot of the tasks they work on with the four-year-olds are specifically to prepare for classroom life in kindergarten, where kids will be expected to stay in their seats, listen to a teacher’s instructions, and carry those instructions out with minimal assistance. So, if you’re hoping to send your kids on to traditional schooling post-preschool, try any of the above activities, but add in a gradual element of sitting still and following through. Try fun listening games, too, like Simon Says and Mother, May I? Definitely let your child direct this one! They’re naturals at it. How do your preschoolers learn best? What are your favorite non-school activities to do with them? Thank you for sharing your unschooling plan. We’re also on the same journey and being a former elementary school teacher, this path seems more fitting for me and my family. Mikko will do great! Oh, I can definitely see how you’d want to go that path as a former elementary teacher! Maybe you can share your ideas with us. 🙂 Thanks for the encouragement! Great ideas! I would add for reading that you can get foam alphabet / number sets to stick on the wall in the shower. Sasha likes to play with them outside of the bathroom as well. Also, you can buy (or make, as we did) letter magnets out of Scrabble tiles. They are fun on the fridge for everyone! For art… just because you unschool doesn’t mean you can’t take advantage of occasional classes if it interests the child. Craft stores and even hardware stores often have those little classes you can do to learn about new materials or build something. Social Studies – I have a friend that celebrated EVERY cultural holiday in her house! Sounded like a fun way to interest the kids! When I homeschooled Tyler (admittedly it was not unschool), I found a Social Studies book for 1st – 5th graders that gave you a list of books for each topic and then activities you could do along with each book. It was really convenient, though a bit out dated so some books were hard to find. I just got whichever ones the library had. Music – our downtown library does music on the first Tuesday of the month plus they have a weekly “Music Sandwiched In” – these are done for just under an hour and feature local musicians. Plus if my LO got bored, the children’s area was right across the way! I loved these! Plus, we could always MEET the musician after. From what I know of your family, I really think you’ve made the right choice here and I’m sure you won’t regret it! Thanks for the wonderful ideas! Oh, and we totally took our GS Troop to tour a water treatment plant! Reading/Writing – Scrabble magnets must be adorable. Arts — So funny you mentioned hardware stores, because I had that in there. But took it out because the article was so loooong. Heh. Mikko just made a police car kit at a home improvement chain. Social Studies – I love the holiday idea. You could really incorporate a lot into that: cooking, decorating, language, talking about another culture, maybe meeting up with people who celebrate the holiday themselves. Cool! Water Treatment Plant — I wish you lived closer so you could go again! Hee. Thanks so much for saying we made the right choice — I really have been feeling conflicted about taking him out of preschool, but I do think it’s right for Mikko. And that’s the point, huh? The library is an amazing resource for all homeschoolers! I bet yours has plenty of cultural festivals as well, considering we have a lot of them right here in po-dunk Oklahoma! We attended the annual Asian American Festival a couple of months ago and it was great! Oh, and the Scrabble Magnets… my mother was a huge Scrabble fan and an unbeatable foe! My sister and I hand-made her magnetic tiles for her fridge (despite the fact you can order them already magnetic) for Mother’s day a couple of years ago. She LOVED them and they were lots of fun! We got magnets with their own sticky stuff, but added better glue anyway… it is certainly a craft with which little hands could help/do! Wow! This amazing group of ideas is being immediately bookmarked! Great post! I was just asked what preschool Little Guy was going to attend this fall. When I said, “None – we’re homeschooling,” I was asked how we do that. I tried to explain unschooling, but it was a complete fail to this person. I’m sharing this post – it describes what we do every day so simply! Oh, good, I’m glad! Obviously, I’m not anti-preschool, but it strikes me as funny that people think it’s necessary. I’m often amazed that people don’t realize how much nearly ALL parents teach their children… and its unschooling! We teach them colors, shapes, letters, numbers… whichever ones interest our little ones, before they ever step foot in any type of school! We teach help them learn to speak, hopefully good eating habits, how to use a toilet… all at their own pace, generally. Love this post. My 3 year old daughter is pretty smart and very social. Still it took me a while to feel confident that skipping preschool was okay. The more I read about unschooling I realize we have already been doing all this great learning with out really trying. 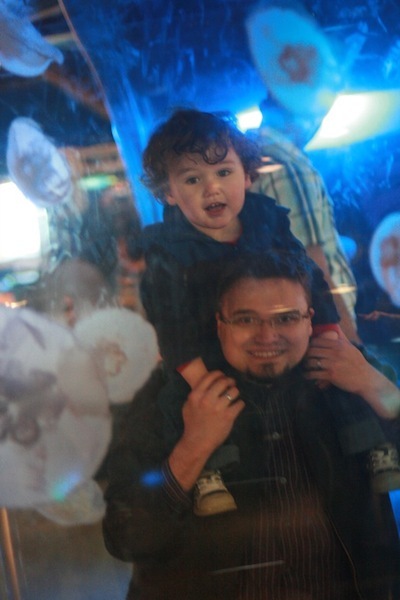 Kids are like sponges, so naturally curious. It is really fascinating watching them learn. Also, there are some great 20 min/day books; such as Teach your Child to read by Engelmann and Teach your child to Read by Ledson that help with sounds, writing, for those “lazy” parents, as you call it, who want to teach their children phonics and the ins and outs of the English language. As an elementary teacher, I have to support some sort of structured reading program once in kindergarten though! (Such as the above, which are very easy and fun!) All the best. Thanks for the curriculum ideas! I have done no research into curriculum yet, so it’s good to know what options there are for people who want it. I do know plenty of unschooling families who don’t formally teach reading, but a lot of that depends on your comfort level with how long it might take your kid to learn to read. Though, I should have mentioned, I think preschool is helpful (like you did for 2 days/wk) for the social aspect — though every time my son is with other kids he seems to have a runny nose a day later! Oh, my goodness, no kidding on the runny nose! We seemed to have one person after another sniffling all winter. Well, I just sent my kid off to preschool after fully considering the unschooling/homeschooling route. Just felt right, at least for now. I just want him to get a little more than he could from just me (maybe like a kid would in a tribe??). I just love that Montessori (where he’s going) is child-led. And, of course, he LOVES it. He’s going to be exposed to more this way, and I think that’s good for his developing brain. That’s just my way of looking at it. He’s only going two days a week, so we still have time for lots of field trips! (I think that’s one of the BEST things about homeschooling.) I have no idea how long we’ll keep this up. I feel he’s going to be homeschooled/unschooled at some point. And now you have me wondering about the directions thing…maybe it’s not just about following directions but also about developing self-mastery? I can’t help but think there might be something beneficial about that, even if they aren’t going to go to school. I read your preschool posts, and it sounds like a really, really good fit for him. I’m so glad. I did consider trying a different preschool, but it’s so hard to know without trying it out for several weeks whether it’s the preschool or just being separated at all that’s the problem (for us). I didn’t get into this in the article above, but the other main reason we pulled Mikko out was separation anxiety issues to the extreme, which it sounds like is not a problem for you (thank goodness!). I did think 2 days/week felt right, although we did consider after awhile going to 3 days but didn’t (for the aforementioned reason). About directions: I think a Montessori school would be aiming toward self-mastery for sure, and I actually am eager to incorporate more Montessori techniques into our daily lives out of school. Learning to clean up after oneself, to put on clothes, to pour liquids, etc. — all practical life skills that also increase confidence. However, all the “kindergarten readiness” checklists I read really just emphasized obedience and sitting still when discussing social/emotional maturity. (Here’s one: http://www.education.com/reference/article/child-ready-kindergarten-skills/?page=2) Which I can understand, given that most kindergarten classrooms are going to be pretty large, with just the one teacher to control things. The lists talk about self-mastery items as well, such as putting on a jacket, using the bathroom, etc. I guess I was struck by the obedience ones because Mikko’s preschool teachers emphasized it so much. I would pick him up, and one of the teachers would say, “Today we talked about the letter K. We drew Ks,” and she would show me some project. I would ask follow-up questions about what K activity they did, and the teacher would interrupt me, “Oh, that’s not really the point. The point is to learn to follow directions. What they did in the project isn’t important.” It seemed … odd to me. Ohhh….yeah. I agree with you. I don’t think there should be any activity where “following the directions” is the most important aspect. And you pointed out other ways (more practical ways) they can learn self-mastery through following directions. Great post! We made the choice to do both with our 4 year old. He was LOVING pre-school (2 sessions a week) and had so many friends, loved the structure and the opportunity to explore but we also felt it wasn’t meeting all his needs as he appears to be quite advanced so we decided to homeschool as well! Like you’ve shared, it doesn’t have to be complicated it’s about following their lead and interests…but I agree, I also need a structure and to know that I put a certain amount of time aside each day to ‘learn’ something as otherwise it just doesn’t get done! I have also learnt not to underestimate how much kids learn from everyday activities like cooking, going for a walk or even to the shops. Every activity is an opportunity to learn! That’s so cool! I love that you’ve been motivated to do both, and that both types of learning are going so well for him. Great article…I feel like I “get” unschooling so much better now. My son is barely two and we’re already being pressured to send him to pre-school as soon as possible, but I’m pretty skeptical about it being beneficial for him with his personality & intelligence (I think he’d be bored & get in trouble for coming up with creative ways to amuse himself). Next time someone brings it up I should talk about how I’m already unschooling him by letting him help me grow basil in our kitchen window and talking about it-instant botany lesson! The phrase “get in trouble for coming up with creative ways to amuse himself” made me chuckle. I’m sure that could be a problem for a creative kid! Great food for thought. I am going through another ‘should I unschool’ cycle of self-discovery so your timing is perfect. Thanks! Can’t wait to read your thoughts as well! Aww… sweet! Not sure if anything will be written about this. I very much let the bug or the muse dictate what I write, so it is very whimsical (read: disorganised) what does and does not make its way onto my blog. I have little time to blog so basically only what is at the top of the ‘what is burning for me right now’ list ever makes it in, usually. But who knows… maybe. Loved this! We just started homeschooling this year (well, the 5-year-old; I also have a 3-year-old and a 10-month-old). The girls went to preschool together last year, but as the Big K approached for the oldest, I decided to keep her home. So far so good. She loves it, and we’re pretty laid back in our “curriculum” (aka, Mommy’s scribbled notes). I have a folder with some worksheets/coloring pages and we get new books from the library each week, and she chooses what to do each day. Some days we don’t get to very much school-ish stuff, but it’s always fun. For SS we also do countries . . . one a week starting with the ones we’ve been to (we live in Europe). I love when she remembers things about our travels and wants to talk about them! I love your style of curriculum! And what a treat to be living in Europe. I did when I was in junior high, and it definitely was a boost to my geographical and cultural awareness. Have fun! Finally got to finish reading this post tonight after toddler woke up wanting Mmummy milk last night! Anyways….love this article. We unschool preschool which works for all of us on many levels. But I do wish there were a few more options available to us for socialising with other groups of kids and various activities(there are no kids play parks where we live. No museums. One library that we’ve never been to because I have no-one to watch my toddler who would just run riot!) There is an amazing Montessori homeschool (just 2 kids in it) but it’s far. I’d love my kids to have the opportunity to go there at least once a week as I think the resources will be stimulating for them (and for me) and it’s child-led so that will be great to watch where their interests take them. I realise more and more that they are learning soooo much with me at home and doing my best to provide new learning experiences for them each day. You got me thinking a lot…think I need to write my own novel about this subject! Thanks Lauren, I’m really looking forward to more of your posts about unschooling as you continue the journey. That’s a bummer that it’s harder to get to child-friendly outings and social groups. That would definitely make things harder (on you, for one!). Maybe you could make your own group that’s closer? Just brainstorming. Can’t wait to read your novel, too! Beautiful way to put it. I really like that! This is great. Seriously great. I wish I could remember the first thing I read about Unschooling in a blog because it freaked me out. It seemed downright dangerous. This makes sense to me on so many levels. I think we’ve been doing this naturally so far. 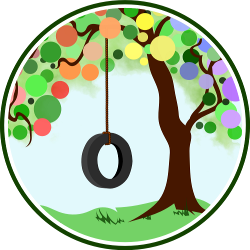 We are starting pre-school this year in a Waldorf school we really like. For our only child it’s largely social. She wants it so badly. Anyway, thank you for taking the time to write this. I found that with many new ideas I needed to hear it from the right perspective before it made sense to me and didn’t just freak me out. Glad I could do that for you, and that you found you’re already doing this in your own way! I’m intrigued by Waldorf education, too. I’m also intrigued & envious of kids who are social and want to be in preschool. 😉 Enjoy! Great article. I unschool our 16 yr old special needs son…LOVE IT! 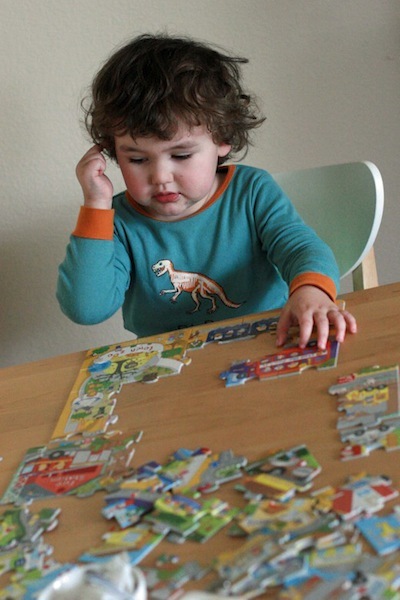 Having lots of anxiety about letting our younger son start public kinder next year. Just found out its FULL DAY! What 5 yr old needs to be in school for 6 hours daily? He’s very social and wants to go to school though. How do I let go? First, that’s so cool that you’ve been able to unschool your older son! I agree with you on the full-day kindergarten. That’s what’s expected here, too, and it just seems like way too long to me. Then again, that’s my mama heart talking, right? 🙂 If your son really wants to be there, he’ll likely be fine. You can always reevaluate once he starts and gets to see what it’s like. Maybe you can pop in for lunch! Well, thank you! I’m glad it was helpful. Sasha loved counting down with the microwave with me. I often just set the timer on it to 10 seconds so we could count down together. Also, it would be fun to pick international holidays and base your unit study, as it were, on that country and celebrate the holiday. I had friends that did that. Those are such fun ideas! Regarding the timer, sometimes it really is the simple things in our day that work so well as learning opportunities. I love all that could go into an international holiday celebration: geography, language, culture, cooking, costumes, artwork, history, reading … great one! It’s funny, because since writing this post unschooling has been going so well that I forgot I was ever nervous about it. 🙂 We’re having so much fun! Thanks so much for this — I’m definitely bookmarking it! My son is nearly four and I pulled him out of preschool back in September. I’m always going back and forth on whether I should do something “structured” with him, but we always go back to just playing! He also learns so much just from tagging along with me at the grocery store, when I tutor a little boy in reading (the boy is Chinese, so Henry gets to hear a bit of his language as well! ), and when I teach piano lessons. He learns so much just through playing and being in the world, but I often feel like I’m not doing enough to provide learning opportunities for him. Also, he’s incredibly defiant if I try to get him to sit down and do something unless it’s his idea! As a former public school teacher, I keep having to de-school myself!